The American Village: The Premier Place for your Celebration! 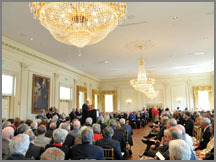 To host a truly remarkable event, choose the American Village, a venue so unique it’s a national treasure. Inspired by some of America’s most historic places, the American Village offers a remarkable setting for your special event. 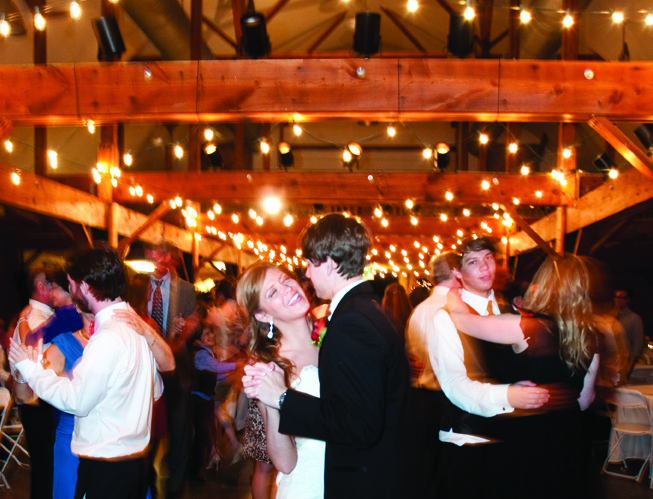 Wedding receptions, rehearsal dinners, bridal showers, birthday parties, family reunions, and many other celebrations may be held in one of several unique locations. Those wanting an early American setting will likely choose the old-fashioned and beautifully restored Barn, which features exposed beams and pine hewn walls. Others may wish to use the classically elegant Liberty Hall. 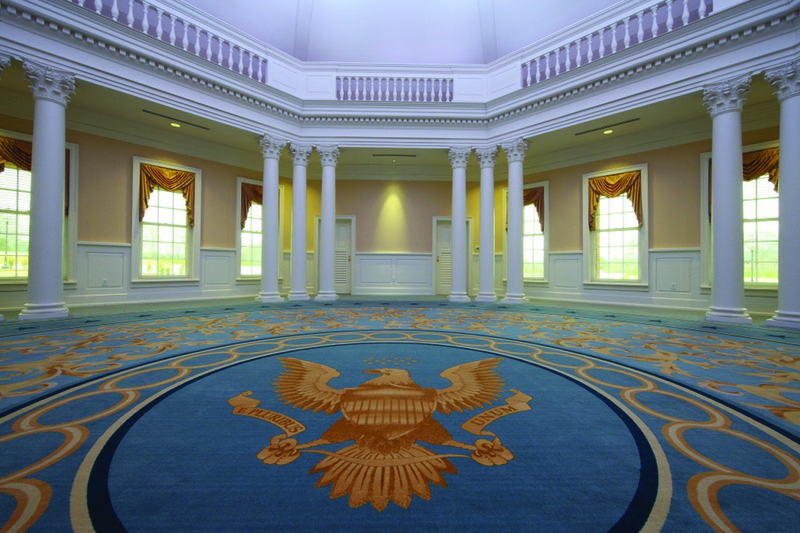 Its exterior is inspired by Thomas Jefferson's beloved Monticello, and its creme-colored interior is patterned after The East Room of The White House and features fluted pilasters and cut-glass chandeliers. The newest facility, the Rotunda, is a more intimate space. The building is Jeffersonian in design, with its round central chamber surrounded by grand columns, and domed ceiling. Your guests can walk through Colonial gardens in the springtime or pose for photographs along the arched wooden Concord Bridge which spans a one and one-half acre lake. There is no location fee for photography if your wedding reception or private event takes place at the American Village. If you would like to use our grounds or facilities as a backdrop for your photo shoot, and your event is not booked with us, a fee of $150 per hour will be charged. Pre-reservation is required for access, and we require a staff member to accompany you. Inquiries and photo shoot bookings should be made by calling (205) 665-3535 extension 1045. On-site photography of wedding and private events outside these parameters is strictly prohibited.